Charming downtown. River up close. Framed by nature. From horse racing and wine tasting to our award-winning music festivals and exploring authentic American heritage and culture, Henderson is a picturesque backdrop for your trip to the United States. Foreign travelers to the United States for short visits, like vacation, visiting family or friends, and business, need visitor visas unless they qualify for entry under the Visa Waiver Program. Visit the State Department’s official website for more information. Incoming travelers are required to pass through customs upon entry to the United States through the U.S. Customs and Border Protection Agency. No matter which direction you’re coming from, Henderson is easy to find and always just a quick trip away. 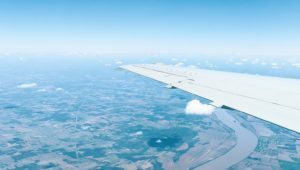 By Air: Servicing Evansville Regional Airport, direct flights to and from Atlanta, Charlotte, Chicago, Dallas, Detroit, and Orlando are provided by Allegiant, American, Delta, and United nearly every day. Evansville Regional Airport is an easy 30 minute drive from the heart of downtown Henderson. Henderson is about a two-hour drive from both Nashville International Airport and Louisville International Airport. By Car: Henderson is located on Interstate 69 just across the Ohio River from Indiana. In Kentucky, drivers must be at least 16 and should possess a valid U.S. or international driver’s license. Henderson’s area code for making calls is 270. For emergencies, dial 911. Without an international plan, many cell phones will not work in the U.S. Check with your service provider before visiting. 15% tips are typically issued to cab drivers, bartenders and waiters though it is common to leave a 20% tip to wait staff for exceptional service. A 6% tax is applied to all non-perishable goods. Prescription medicines and groceries except for alcohol are tax exempt. Climate: Weather units are measured in Fahrenheit. Time Zone: Henderson is on Central Standard Time (CST). Currency: Monetary units are measured in U.S. Dollars. Electricity: 120 volt or 60 hertz. Consider purchasing a Type-B adapter plug NEMA 5-15 to ensure your electrical items will work in Henderson.